Our Mission is to inspire and develop the youth of today. Through fun and engaging adventures, we promote the development of positive decision-making, self-discovery, cooperation and grit. Our Philosophy: At Camp Can-Aqua we recognize the value of each individual, encouraging them to challenge themselves through learning, exploration and responsible risk taking. Understanding the power of the imagination, we create a world that is engaging, inclusive and full of wonder, where children develop a strong sense of comfort and belonging. In this community, each child is able to recognize their importance as they are encouraged, supported and included in all aspects of camp life. What Can-Aqua offers is the opportunity for campers from all over the world to challenge themselves to be their very best as they take part in their own journey for fun, discovery and adventure. Can-Aqua has offices Oakville and Ottawa and offers office appointments or home visits with our Director. We encourage you to book one. We bus from Oakville, Toronto and Ottawa each session. 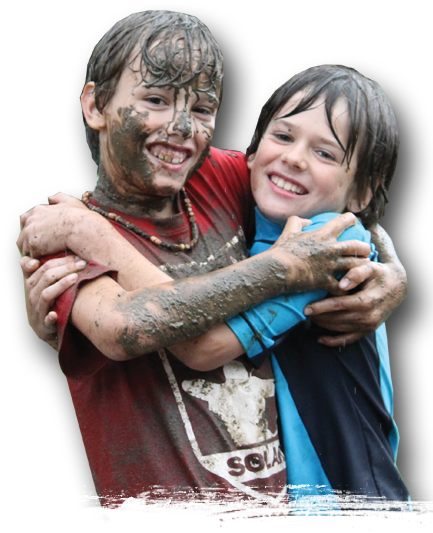 Camp Can-Aqua is an accredited member of the Ontario Camps Association and Canadian Camping Association. As a result, we adhere to the highest operational standards. 1) WE ARE A PERFECT SIZE! Camp Can-Aqua is a sleep away camp for up to 180 campers. Once at camp, we are certain that not only will you get to know your cabin mates very well, but that you’ll become familiar with the entire community during your stay. Cabin groups range from 6-10 campers, and all cabins come equipped with two amazing counselors. 2) WE ARE A CHILD CENTRED CAMP WHERE CAMPERS CHOOSE THEIR OWN ADVENTURE!!! At Camp Can-Aqua we believe that campers should have control of their day. With this in mind, kids are given the choice of which activities to take part in each day of their session. While each activity day is structured into four periods and one hour of free time, campers are encouraged to select their activities themselves. If they need some help, the staff are always there to guide them in a positive decision making process. At suppertime, campers go to the Can-Aqua Program Board with their counselor, and choose activities for the following day. It’s an exciting process that kids look forward to being involved in. Andrew Martin, has been at the helm for 15 years. His outlook on camping, partnered with his creativity and enthusiasm create the foundation of our accepting and positive camp community. As the Camp Director, Andrew believes that kids who feel safe and welcome will have confidence to express their needs & passions. Ensuring campers achieve this is his goal, because when kids feel authentically connected, the programs, excitement and fun become additives to the already life changing experience. Kids learn and grow in many different ways. At Can-Aqua, we believe it is essential to provide kids with options between structured programs where levels are achieved and less structured programs that are just for fun. Here, you are encouraged to try new things and challenge yourself, but never forced into programs because of tradition. The world is constantly changing and, at Can-Aqua, we strive to evolve in all the right ways. 5) WE HAVE EXCEPTIONAL SUMMER CAMP STAFF! Our counselors take great pride in the achievements of each camper while encouraging them to progress at their own rate. Most of all, they understand the importance of being a positive role model and a friend. Most of our staff have spent time at Can-Aqua during their youth as campers and have long-term experience in our leadership development program. This ensures that the community remains consistent, reliable and familiar for kids who return to year after year. Can-Aqua staff are constantly going through rigorous training. As minimum staff standards, all team members are required to hold current first aid and CPR. Lifeguards at Camp must hold their National Lifeguard Service (NLS) certification and any staff in specialized instruction has been trained to teach in the area. The words “Can-Aqua Experience” are often heard among our campers, parents, staff and junior counselors. This experience is like no other as it provides action packed skills, values, friendships and fun for all involved. The end result is an unforgettable summer experience for your kids. Our camp creates long term memories and life-skills by fostering youth development on an ongoing basis. Starting as young campers, choosing Can-Aqua means a decision that will have a lasting impact throughout your life! Most campers will remain at camp; they will learn, grow and develop into caring, compassionate and accepting, young leaders. When it is time to leave camp, these young people will head out into a world that holds vast opportunities for further success. Their time at camp will make them better prepared for these opportunities and challenges, because while at camp we have learned to live together, to compromise, to cooperate and to support one and other. Come join us and experience CAMP CAN-AQUA! We are located just outside of Bancroft, Ontario and are a proud member on the Ontario Camps Association (OCA). We are proud to have been voted as one of Ontario’s “Best Summer Camps” for kids. A big part of many lives across the globe, Camp Can-Aqua is excited to be an Ontario summer camp with integrity. Come visit us at our Oakville Summer Camp office or our Ottawa Summer Camp office for insight and more information. We Surround Ourselves With Excellence!